Rachelle Strauss is the creator and director behind Zero Waste Week, an annual awareness campaign since 2008. It takes place in the first full week in September each year, and promotes awareness in producing rash and the disposal of trash. Zero Waste Week encourages the public to be more aware of how much trash they produce as well has encouraging people and businesses to live and work more sustainable and reduce their carbon footprint. She has been featured in The Guardian, National Geographic and The Sun for her efforts in promoting awareness for a more sustainable future. This is my first year participating in Zero Waste Week as an ambassador. I’m so grateful to be a part of this movement. But there are many others who are and have been a part of this movement long before I came along, you can meet them at Zero Waste Week Ambassadors. 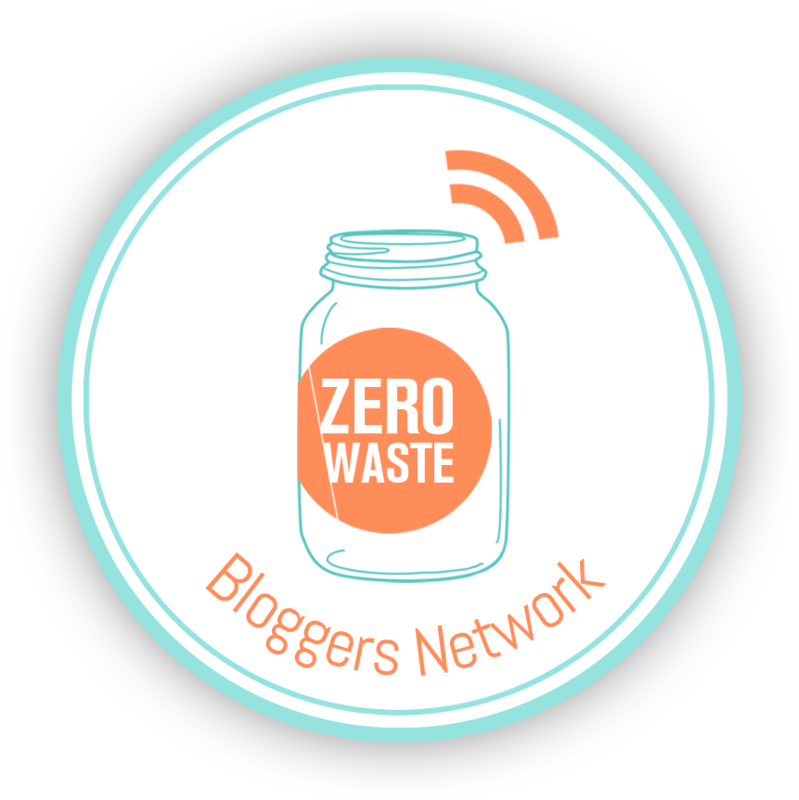 You can also read all about this week and get involved at Zero Waste Week- About. Monday: Make it mend it Monday – Repairing / learning new skills to extend product life. Look for #makeitmendmonday and you’ll find other resources and tips on repairing clothes and fabric products. Tuesday: Trashless Tuesday – Challenging participants to a Zero Waste day to see how little they can accumulate for landfill (considering asking people to carry their rubbish around in a see through bag for the day too!) Look for #trashlesstuesday on other social media sites to see how others utilize their trash. Wednesday: Working with Waste Wednesday – Upcycling. Look for #wastelesswednesday to find out how other people upcycle their extra waste items. Thursday: Top Tips Thursday – Tips for making Zero Waste living easy and quick. Look for #toptipsthursday on Twitter, Instagram and even Pinterest to find other tips for living a zero waste lifestyle. Friday: Food waste Friday – How to utilize all your food scraps so there’s less waste produced. Look for #foodwastefriday on Twitter, Instagram and Pinterest to find other ways to utilize food waste from making compost to creating your own homemade vegetable broth. 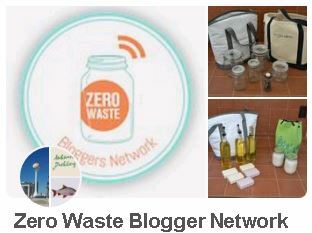 To follow Zero Waste Week and Rachelle Strauss, here are links to her other social media: Facebook, Twitter, Instagram and Pinterest. Tomorrow is World Water Day. An international day to celebrate freshwater was recommended at the 1992 United Nations Conference on Environment and Development (UNCED), which led to this day of awareness. The United Nations General Assembly responded by designating 22 March 1993 as the first World Water Day. Each year, World Water Day highlights a specific aspect of freshwater. The UN-Water proposes the annual theme and coordinates the global campaign alongside one or more members on behalf of UN-Water with the support of other members, programmes, partners and relevant stakeholders. In 2017, the theme is “Wastewater.” The campaign aims to turn the spotlight to wastewater and how we can reduce and reuse to help achieve Sustainable Development. The UN and its member nations devote this day to implementing UN recommendations and promoting concrete activities within their countries regarding water resources. Additionally, a number of non-governmental organizations promoting clean water and sustainable aquatic habitats have used World Water Day as a time to focus attention on critical current issues. Events such as theatrical and musical celebrations, educational events, and campaigns to raise money for access to clean and affordable water are held worldwide on World Water Day, or on convenient dates close to March 22. World Water Day is also used to highlight required improvements for access to WASH (water, sanitation, hygiene) facilities in developing countries. In the next decade, UN-Water has declared 2018-2028 as the International Decade (2018–2028) for Action – Water for Sustainable Development”. I will help put a greater focus on water during those ten years. This New Decade for Water is to emphasize that water is critical for sustainable development and the eradication of poverty and hunger, UN Member States expressed deep concern over the lack of access to safe drinking water, sanitation and hygiene and over water related disasters, scarcity and pollution being exacerbated by urbanization, population growth, desertification, drought and climate change. Water is so crucial to survival on this earth. Many of us are blessed to have access to clean water, but not everyone. Here are the top ten places in need of clean, safe and drinkable water. I pulled some facts from www.ecorazzi.com, please read more about these places in the link. Ethiopia– Only 42% of the population has access to an improved water supply and only 11% have access to clean sanitation. Chad– Oxfam reports that over one million children are at risk of severe acute malnutrition in the areas of Chad, Burkina Faso, Mali, Mauritania, Niger and northern Senegal. Laos– Although it borders a large portion of the MEkong River, the low water levels affect their electricity, food, transportation, and much more. Ghana– TA few areas such as the Volta Region which borders Bukina Faso and Togo are remote and poor regions, which do not have access to improved sanitation and many families lack access to safe water. Bangladesh– Many in the slums of Dhaka, the capital city, do not have access to a safe toilet and only 16% of the population in rural areas actually has access to a latrine. 663 million people – 1 in 10 – lack access to safe water. 2.4 billion people – 1 in 3 – lack access to a toilet. Twice the population of the United States lives without access to safe water. 1/3 of the global population lives without access to a toilet. The water crisis is the #1 global risk based on impact to society (as a measure of devastation), as announced by the World Economic Forum in January 2015. Without water, there is no life. We are all humans on this earth, trying to coexist, and we all have the need for clean water. There are so many reasons to search for more efficient sanitation procedures to clean our existing water, but more so, to NOT contaminate the water sources we currently have. We have to continue to work together to help one another. I hope you will be aware of World Water Day on March 22, 2017. I hope you spread the word, facebook it, tweet it or Instagram it, but more so, be aware of it. There are places in this world that still do not have access to clean water. My capsule wardrobe doesn’t include intimates or nightwear. This is because when it comes down to those categories, personal preference is how most decide on those items. I also don’t think counting each underwear or sock is reasonable for this system; you would run out of clothing options quickly. With this style of capsule wardrobe planning, deciding on outfits is a simple task and even deciding on outfits to go to special events are just as easy. I actually have 3 items that are nightwear items, so in total I technically have 30 pieces hanging in my closet (a few pieces hang off of the same hanger since the pieces are smaller and lighter). I don’t include them because of the fact that a capsule wardrobe is considered capsule due to its ability to interchange with one another to create a variety of outfits. Some people have more pieces in their capsule wardrobes and some have even less, it’s all in how comfortable you are with the amount of items. I really do recommend this system, it is simple and easy to make, and keeping track of each piece of clothing is easy. You’ll love every piece of clothing you own and you still can create a lot of outfits. If minimizing your wardrobe down to 30 pieces seems too extreme, try hiding half of your wardrobe and see if you are comfortable using what you have left, on a day to day basis. Then go hide half of your spouse’s/partner’s/family members’ clothing too; you can call it “The time when you got into the shower and when you got out, half your stuff had disappeared.” AKA “Involuntary Capsule Wardrobe”. It totally works. You should try it. The gift of experiences, are, in my opinion- the best kinds. They’re my favorite gifts to give. They’re easy to wrap because no wrapping paper is needed and there’s no gift like it. See, when you give the gift of an experience, no memory can replace it and it’s not generically manufactured somewhere which somehow made it onto the store shelf that caught your attention. Everything about the gift of an experience is unique, from the sounds you hear, the smell in the air, the objects you encounter, the people you’re surrounded by and perhaps in a split second, you’ll captured a memory that will forever live. The reason why I own a limited number of possessions is due to the fact that I would rather spend my money on experiences and good food. I’d rather keep my home clear of clutter and walk down to my downtown area and go out to dinner. I’d rather sit on the beach with friends after a day of surfing and then enjoying a hearty meal with great company. I’d rather go to the movies or go to a sporting event with family and friends. I’ve chosen to live my life by filling it with more experiences and with less stuff in the past 6 years. Although my “living with less” lifestyle became more refined with each passing year, this year, it has finally dwindled down to its most polished version. I’ve used numerous websites to give gifts and to test out the gift of experiences method and they all seem to work quite smoothly. So far I’ve used Groupon , Living Social as well as Ticketmaster. These are just the ones I’ve used and I’m sure there are many out on the internet that I’m not familiar with. I really think the secret to this life is creating memories with one another. I don’t think humans were meant to be isolated or alone. We were always meant to talk and be stimulated my our experiences. We all laugh, love, care, express empathy and even cry. I encourage everyone to invest in giving the gift of experiences, you never know the value of the memories you’re going to create. Toilet paper: The average U.S. consumer uses more than 20,805 sheets annually, contributing to a $5.7 billion industry for bathroom tissue. Unfortunately, I do use toilet paper, but I use toilet paper made from 100% recycled paper. It’s the one product that I consistently try to adjust and use less of. I did purchase a bidet that attached to my toilet, so that eases up my use of toilet paper- but I still use it. When you think of producers of greenhouse gas emissions, pollution and resource depletion, toilet paper probably doesn’t join the list of products and industries that come to mind. But the natural resources that go into toilet paper should be taken into account. According to some estimates, approximately 7 million trees are used each year to make up the U.S.’s toilet paper supply. The idea of using virgin wood for throwaway paper products seems silly, but it happens nearly 99 percent of the time. Toilet paper made of 100 percent recycled paper fiber makes up less than 2 percent of the market in the U.S. However, toilet paper made of 100 percent recycled paper content, including high percentages of post-consumer recycled fibers, is becoming easier to find as national chain stores now carry major brands like Seventh Generation and Marcal. Tissue-grade papers are typically made from virgin fiber rather than recycled fibers and are bleached with chlorine to make them look whiter and brighter. Like toilet paper, these tissue grades are widely available with recycled fiber content and chlorine-free bleach. While tissue-grade paper is made from, well, paper, this particular material is actually not recyclable due to the nature of its usage. When we add grease to a paper towel, food residue to napkins and you-know-what to toilet and facial tissue, these items are typically rendered non-recyclable. When paper products are recycled, they are mixed with water and turned into a slurry. Grease, oils and other soiling materials form at the top of the slurry and paper fibers cannot separate from the oils during the pulping process, rendering the batch useless. Other products typically found on paper products, like ink, tend to break down fast as they are usually non-petroleum based. Greenpeace’s Recycled Tissue and Toilet Paper Guide – Greenpeace has created a guide as well as an iPhone application to help consumers find recycled and responsible paper products. The pocket guide ranks 18 popular toilet paper, paper towel, facial tissue and napkin brands on their use of recycled content, post-consumer recycled content and non-toxic chlorine compounds in the bleaching process. Replaced one 175-sheet box of virgin fiber facial tissues with 100 percent recycled tissues, we’d save 163,000 trees annually. Used 100 percent recycled paper towels rather than one 70-sheet roll of virgin fiber paper towels, we’d save 544,000 trees each year. Replaced one 250-count package of virgin fiber napkins with 100 percent recycled, we’d save 1 million trees annually. I question the honesty of how items are recycled (especially electronics) and to be more informed is always better. The next series of posts I’m going to post up with cover a small section of the majority of materials that are deemed recyclable. Although the concept of recycling seems like a savior process for all items- it really isn’t. There are uncomfortable truths that the public is not informed about. I hope these next posts will be helpful for those who are seeking more information. In a nutshell, batteries vary in how they are recycled. Batteries range from lead acid based to alkaline, lithium ion, nickel, zinc and even mercury batteries. Here is an overall information haul about the variety of them but I also included links to some recycling processes under the infographics above. I always hear mixed reviews as to what actually happens to batteries when we recycle them and this is why I thought I should post some information. I tend to use more alkaline and lithium batteries in my day to day life, so those infographics apply more to me. Hopefully this will bring some more information to you as you come into contact with your day to day electronics that use batteries. Lead Acid– The battery is broken apart in a hammer mill, a machine that hammers the battery into pieces. The broken battery pieces are then placed into a vat, where the lead and heavy materials fall to the bottom and the plastic floats. At this point, the polypropylene pieces are scooped away and the liquids are drawn off, leaving the lead and heavy metals. Each of the materials goes into a different recycling “stream”. Plastic- Polypropylene pieces are washed, blown dry and sent to a plastic recycler where the pieces are melted together into an almost liquid state. The molten plastic is put through an extruder that produces small plastic pellets of a uniform size. The pellets are put back into manufacturing battery cases and the process begins again. Lead- Lead grids, lead oxide and other lead parts are cleaned and heated within smelting furnaces. The molten melted lead is then poured into ingot molds. After a few minutes, the impurities float to the top of the still molten lead in the ingot molds. These impurities are scraped away and the ingots are left to cool. When the ingots are cool, they’re removed from the molds and sent to battery manufacturers, where they’re re-melted and used in the production of new batteries. The acid is neutralized with an industrial compound similar to household baking soda. Neutralization turns the acid into water. The water is then treated, cleaned, tested in a wastewater treatment plant to be sure it meets clean water standards. The acid is processed and converted to sodium sulfate, an odorless white powder that’s used in laundry detergent, glass and textile manufacturing.Lead acid batteries are closed-loop recycled, meaning each part the the old batteries is recycled into a new battery. It is estimated that 98% of all lead acid batteries are recycled. Alkaline batteries– Alkaline batteries such as (AAA, AA, C, D, 9V, etc.) are recycled in a specialized “room temperature,” mechanical separation process where the battery components are separated into three end products. These items are a zinc and manganese concentrate, steel, and paper, plastic and brass fractions. All of these products are put back into the market place for reuse in new products to offset the cost of the recycling process. These batteries are 100% recycled. Lithium Ion– Prior to the recycling process, plastics are separated from the metal components. The metals are then recycled via a high temperature metal reclamation (HTMR) process during which all of the high temperature metals contained within the battery feedstock (i.e. nickel, iron, manganese and chromium) report to the molten-metal bath within the furnace, amalgamate, then solidify during the casting operation. The low-melt metals (i.e. zinc) separate during the melting. The metals and plastic are then returned to be reused in new products. These batteries are 100% recycled. Nickel-Cadmium- Prior to the recycling process, plastics are separated from the metal components. The metals are then recycled via a high temperature metal reclamation (HTMR) process during which all of the high temperature metals contained within the battery feedstock (i.e. nickel, iron, manganese, and chromium) report to the molten-metal bath within the furnace, amalgamate, then solidify during the casting operation. The low-melt metals (i.e. zinc and cadmium) separate during the melting. The metals and plastic are then returned to be reused in new products. These batteries are 100% recycled. Nickel Metal Hydride– Prior to the recycling process, the plastics are removed from the cell portion. The cells go through a drying process to remove moisture (potassium hydroxide (KOH) electrolyte and H2O) from the cells. The drying process heats the cells in a time and temperature controlled manner via a proprietary and proven formula. Once these cells are dried they become a valuable feedstock for the stainless steel and or alloy manufacturing industries. The metals and plastic are then returned to be reused in new products. These batteries are 100% recycled. Lithium Batteries– The contents of the batteries are exposed using a shredder or a high-speed hammer depending on battery size. The contents are then submerged in caustic (basic not acidic) water. This caustic solution neutralizes the electrolytes, and ferrous and non-ferrous metals are recovered. The clean scrap metal is then sold to metal recyclers to offset the cost of recycling these batteries. The solution is then filtered. The carbon is recovered and pressed into moist sheets of carbon cake. Some of the carbon is recycled with cobalt. The lithium in the solution (lithium hydroxide) is converted to lithium carbonate, a fine white powder. What results is technical grade lithium carbonate, which is used to make lithium ingot metal and foil for batteries. It also provides lithium metal for resale and for the manufacture of sulfur dioxide batteries. Mercury Batteries– The batteries and heavy metals are recovered through a controlled-temperature process. It’s important to note: the percentage of mercuric oxide batteries is decreasing since the passage of the Mercury-Containing Rechargeable Battery Management Act (The Battery Act) of 1996. This act prohibits, or otherwise conditions, the sale of certain types of mercury-containing batteries (i.e., alkaline manganese, zinc carbon, button cell mercuric-oxide and other mercuric-oxide batteries) in the United States. Zinc-Carbon– Zinc-carbon (AAA, AA, C, D, 9V, etc.) and zinc-air batteries are recycled in the same way as alkaline batteries or by using high temperature metal reclamation (HTMR) method to melt the metals. These metals are then reused in new products. These batteries are 100% recycled. Zinc-Air– Zinc-carbon (AAA, AA, C, D, 9V, etc.) and zinc-air batteries are recycled in the same way as alkaline batteries or by using high temperature metal reclamation (HTMR) method to melt the metals. These metals are then reused in new products. These batteries are 100% recycled. Trying to create zero trash for my cat is almost impossible. I’ve tried, but due to some medical conditions, it’s virtually impossible. I have a male cat and he was neutered when he was younger. Unfortunately, male cats who are neutered, are more prone to urinary tract infections and therefore, require special diet food that has a low sodium content. Also, in order for him to not develop another urinary tract infection, he needed fresh water constantly. We bought him a small drinking fountain which he helped himself to. These two requirements produced empty tin cans of cat UTI management food as well as charcoal filters. As he aged, he developed Diabetes and requires insulin shots twice a day. This required insulin medication as well as insulin needles. He’s a large cat, but he’s always been a large cat so weight gain was his genetic default. Lucky for us, he’s always been an indoor and outdoor cat, so he always used the backyard as his giant toilet. But with him being an indoor and outdoor cat, he required flea medication. I’ve been asked “Why don’t you just make him an indoor cat? It would cut back on the flea medication trash that you produce.” But forcing an animal to stay inside when we clearly have outdoor roaming space for him seemed unnatural to me. I wanted him to roam free and go play outside when we weren’t home. So the diabetes and flea medication produced tin cans of glucose management food, insulin needles, insulin medication and the flea applicators. Over the years, he also got into a few fights with other cats or raccoons that roamed the neighborhood. For those special occasions, he required medication and sometimes even surgery which produced trash as well. I usually return the pill bottles and jars to the veterinarian so they can dispose of it. I’m lucky that I live in an area that allows free medical waste dumping, and even if I didn’t, I know my veterinarian will collect the medical waste from his patients for a small fee. As for toys, he never loved to play with a lot of toys. In fact, he really only likes his catnip pillow, shoelaces and metal chain necklaces . I had a catnip plant that I grew for him awhile back and once in awhile, I would dry the catnip leaves and compost the old catnip. I would then refill his pillow with new dry catnip. Unfortunately he liked it so much that he would lay on it and eventually crushed the life out of it. That too went into the compost bin. I’m lucky that he’s easily entertained. He also never wanted his own bed, he always just adopted any place in the house to sleep. Entertainment = Catnip pillow, but I refill the catnip pillow with fresh catnip. He just likes to play with shoelaces and metal chain necklaces. So the recyclable items that I do produce are the tin cans of UTI food and diabetic food. His insulin medication, insulin needles and other medications are also recycleable, but considered medical waste recycling. The charcoal filters and advantage flea medication are the items that do end up in the landfill. I actually have a separate jar of trash that comes from owning a cat. He also no longer uses the water fountain that used the charcoal filters, he requests fresh water from the faucet when he’s thirsty with a drawn out meow. Trying to own a pet and not produce trash from them is quite difficult. I know this much, to take on a pet is a great amount of responsibility and it is not a simple responsibility to ignore. I am not a veterinarian and I do not know what nutrients he needs and the sufficient amount of each nutrient and vitamin, therefore I do not attempt to make cat food on my own. He has very few toys, only wants his catnip pillow, which I will stuff with fresh catnip and compost the old catnip. I started this journey almost five years ago, so I’ve compiled a nice amount of Advantage Flea Medication applicators for cats as well as charcoal filters. He stopped using the water fountain about three years ago, so he hasn’t produced anymore trash from that. He probably won’t last through the end of this year, but it’s amazing to see how much owning a pet can add to your trash collection. Once you lay it all out and calculate the amount of trash that’s produced, it’s an eye opening realization of what you’re contributing to the landfill. My cleaning routine is fairly simple. I use a mixture of water and vinegar to wipe down surfaces (in the water bottle) and I use Dr. Bronner’s Liquid Peppermint soap for washing dishes and even cleaning my sink and bathtub (in the wide mouthed Ball Mason Jar). I use baking soda if I want to exfoliate a surface if necessary. I’ve even used the soap to wash my cat when he needed a bath. This soap is so useful in my life and Dr. Bronner’s soap has a long legacy of producing quality soaps. Unlike most commercial soapmakers, who distill the glycerin out of their soaps to sell separately, we retain it in our soaps for its superb moisturizing qualities. You can check out the rest of their story and legacy here,Dr. Bronner’s Legacy , and you can check out their website here: Dr. Bronner’s All-In-One . I haven’t used store bought chemical cleaners for the past five years, and as I discovered alternative ways to clean, I was much happier knowing I wasn’t inhaling the fumes from my cleaning products. Although cleaning can be a touchy subject, due to how people view “dirty” or “clean”, I think it boils down to what you’re willing to sacrifice and risk. Some people are more comfortable with the chemicals, but I am not. My soap is environmentally friendly and because it’s such a good soap, even when I dilute it with water, it still lathers really well! Due to the fact that I’m constantly diluting this soap, I never have to stock up each week. I make a bathroom bulk grocery run probably once every three months. Honestly, my lotions and soaps last me a long time. It’s not a bad idea to eliminate the more harmful chemicals from your home. In fact, I’m an advocate for natural and organic cleaning products. Some people have commented that perhaps my way of cleaning isn’t sanitary, but unless I put my home through an autoclave, I don’t’ think it could ever be 100% clean. We as humans do retain a certain amount of bacteria in our bodies and if you’re THAT afraid of what comes out of your bodies, shouldn’t you be more concerned with what goes into it? *UPDATE- 06.16.2017- I no longer use Olive Oil Dispenser – Square Tall Glass Oil Bottle and Stainless Steel Pourer Spout to contain my bulk liquid soap, but instead I now I refill my 32 oz, Dr. Bronner’s Organic Peppermint Pure-Castile Liquid Soap container. These containers are easier to clean and they have a much more durable design. I use a water bottle that was gifted to me, for my vinegar and water mix for cleaning.